It’s official, the MTV Movie & TV Awards are where dreams come true. This is mainly because Millie Bobby Brown met the stars of 13 Reasons Why, and now our Netflix binge-watching hearts are so full. On Sunday, celebrities descended upon Los Angeles for the 2017 MTV Movie & TV Awards. 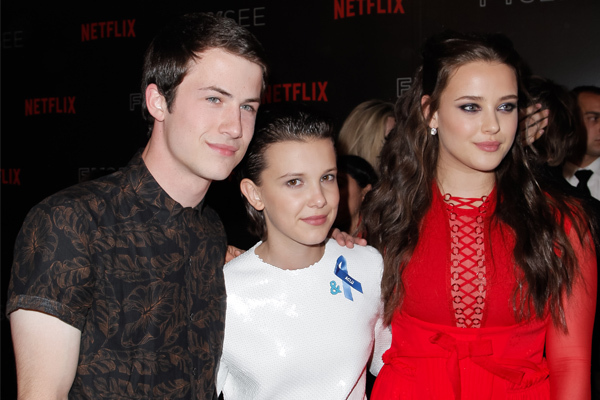 The show was full of serious star power, but our favorite moment was when Brown met Katherine Langford and Dylan Minnette. 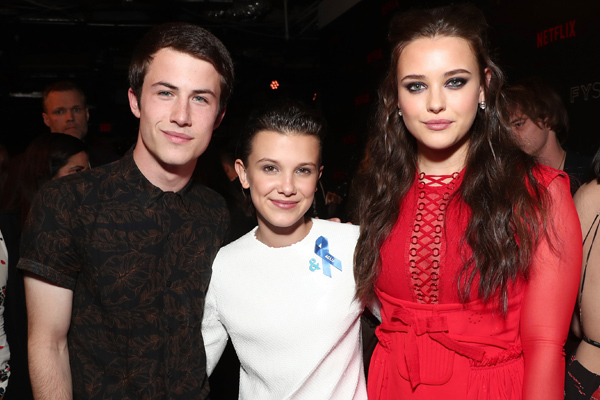 In case you don’t know these stars by their real names, Eleven from Stranger Things hung out with Hannah Baker and Clay Jensen from 13 Reasons Why. It sounds like a match made in Netflix heaven! The trio posed for pictures backstage at the award show and we’re freaking out. It’s like our favorite Netflix teens had a sleepover and somehow we were invited. Okay, technically we were on the couch watching it from afar, but that’s definitely what it felt like. It’s a Stranger Things and 13 Reasons Why mashup, what could be better? Brown and Langford even had a brief convo backstage, and we’re pretty sure they’re now best friends. After hanging out with the amazing duo from 13 Reasons Why, Brown hung out with her own co-stars. 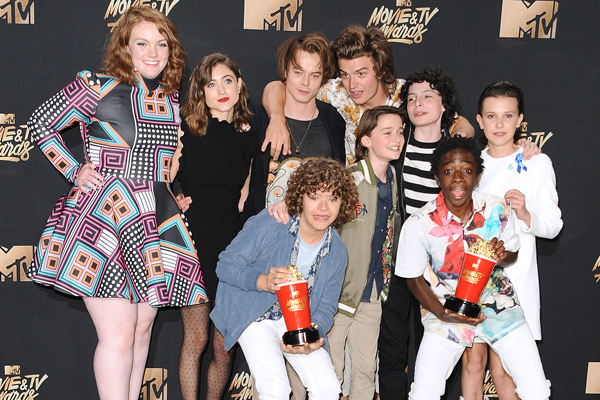 The cast of Stranger Things took home the title of “Show of the Year,” so naturally, there was a LOT of celebrating happening. Seriously, how cute are all of these actors? Plus, the 13-year-old actress won “Best Actor” in the TV category, during their first-ever gender-neutral award show for MTV. So yes, she had a pretty amazing night.